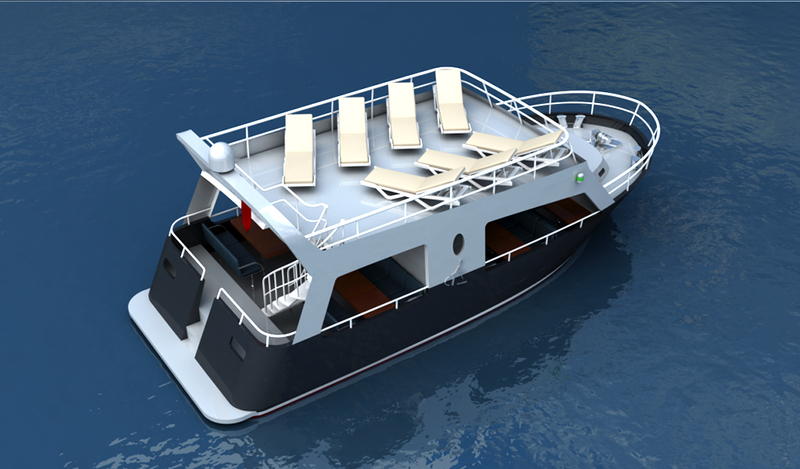 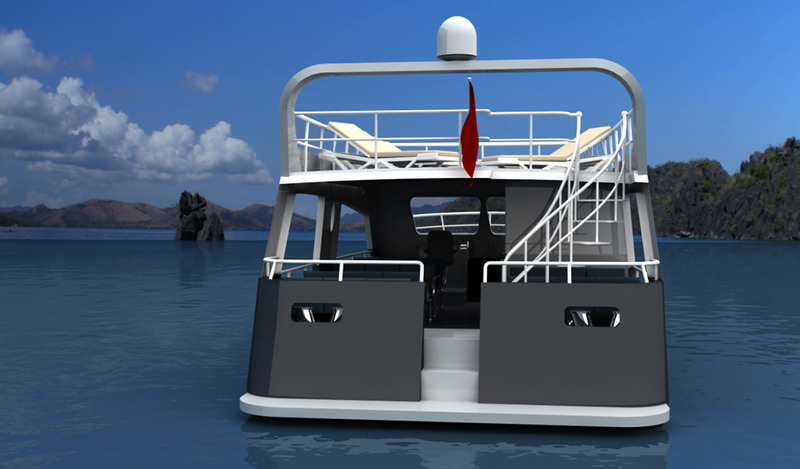 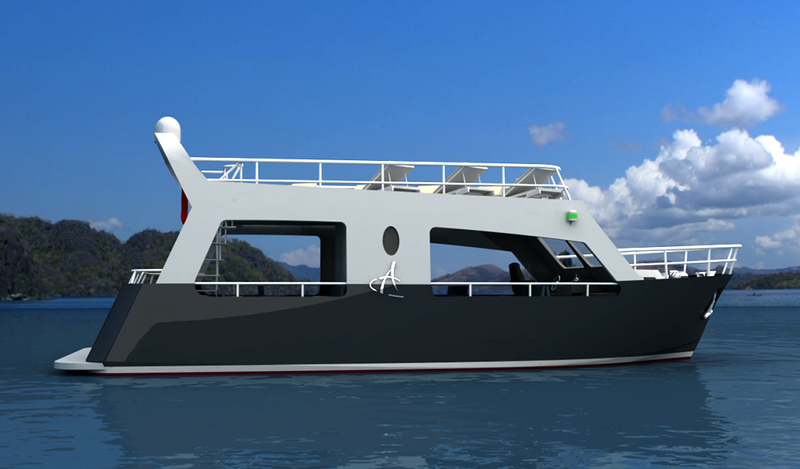 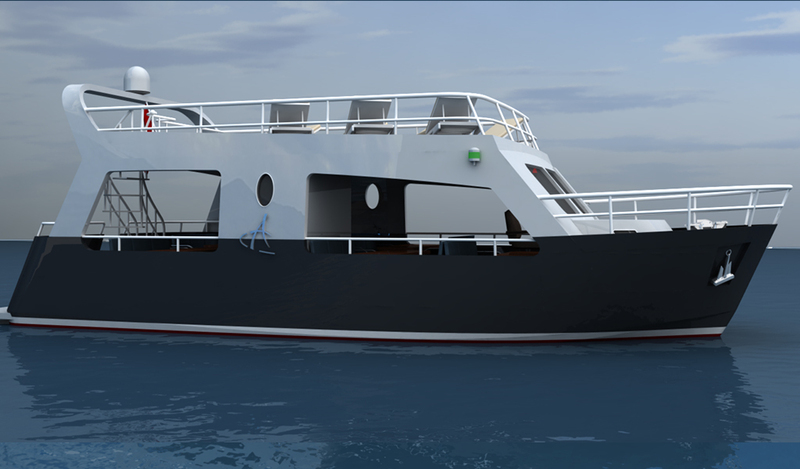 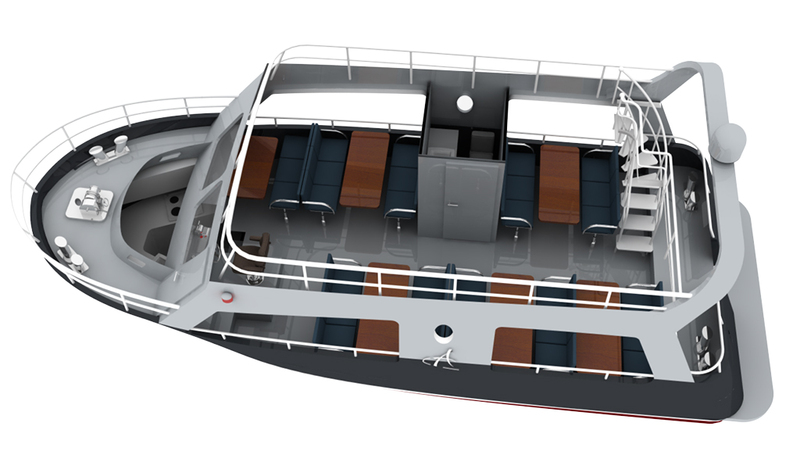 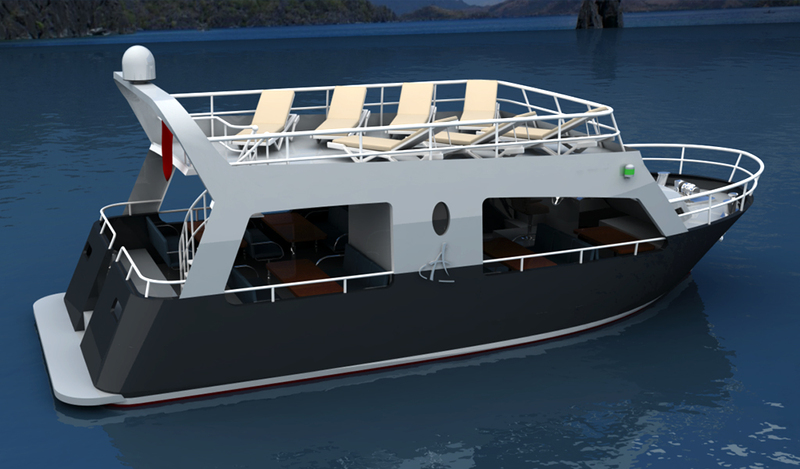 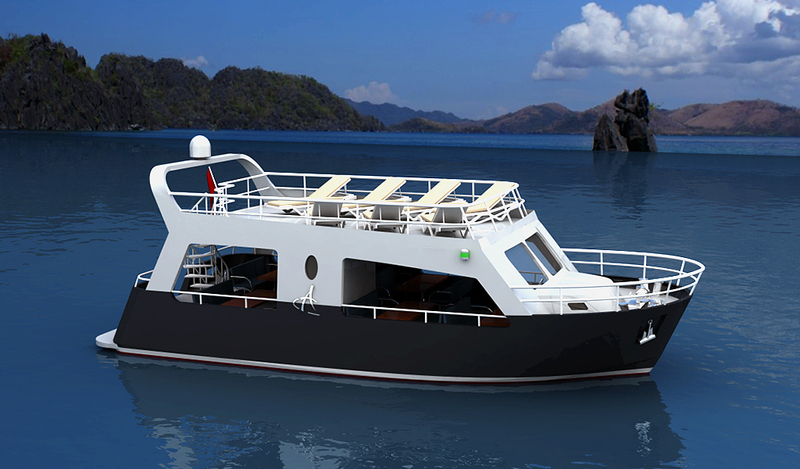 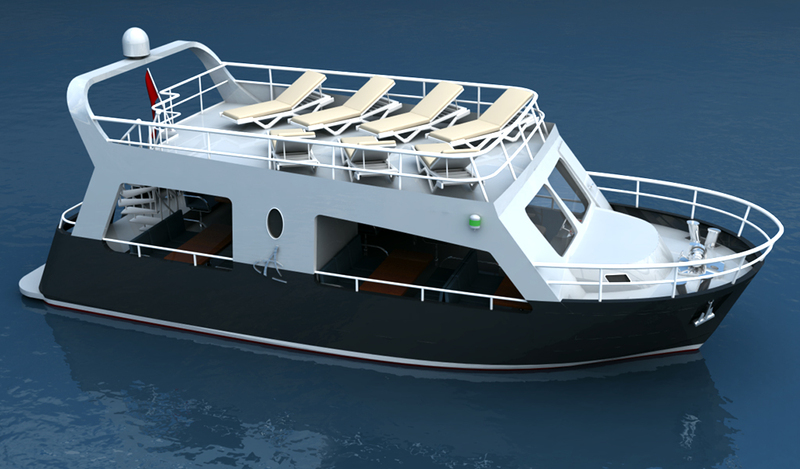 The 12m passenger boat concept is designed with the aim of creating a stylish pleasure boat. 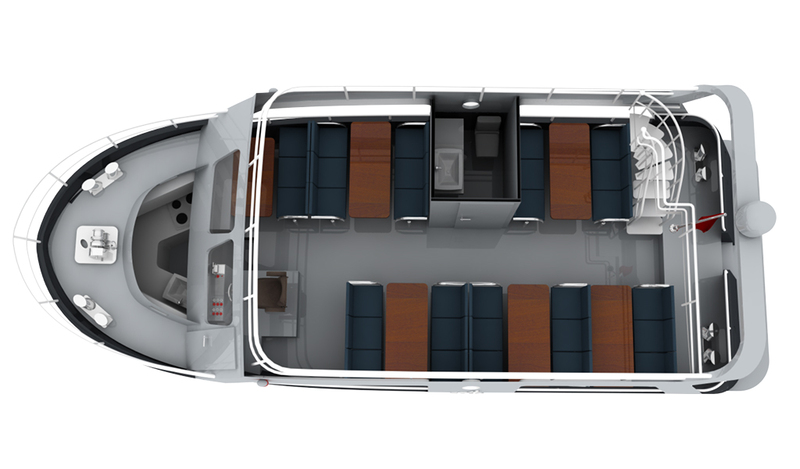 She offers possibility for seating and dining up to 30 passenger and a large sunbathing area on the flybridge. 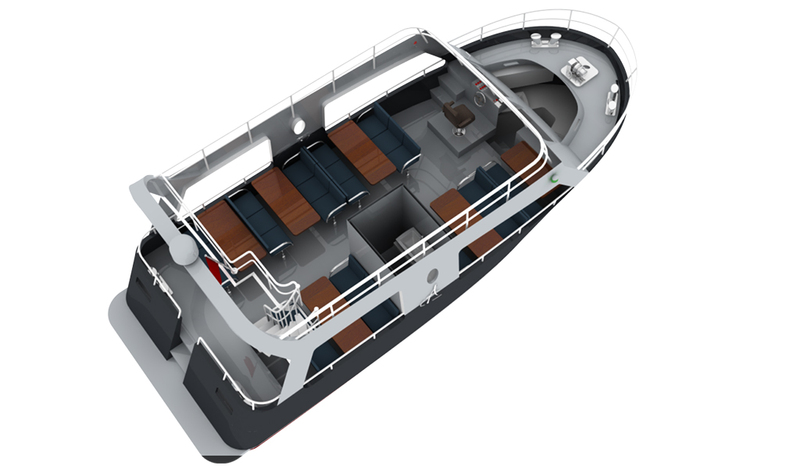 She also provides a daily WC and a galley underside of the raised fore deck.